Digital x-rays provide a high quality radiograph for quick diagnosis. X-rays are used to evaluate injuries and conditions which require more than an external examination. The imaging procedure is painless and can be performed on cooperative pets without sedation. 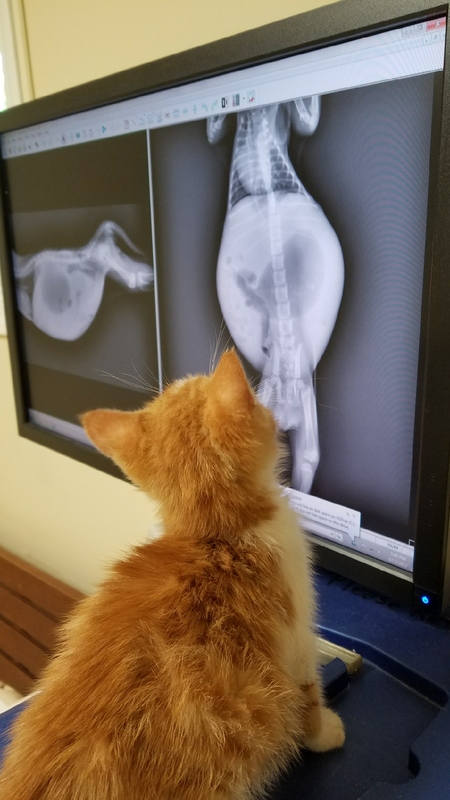 Having digital x-ray also allows for quick and easy transfer to a radiologist for a second opinion or to a specialty hospital when animals require a specialist's care.